Animal heating pads, also known as heat mats, provide gentle warmth from the bottom up. This method tends to be more practical and economical, as all heat rises. 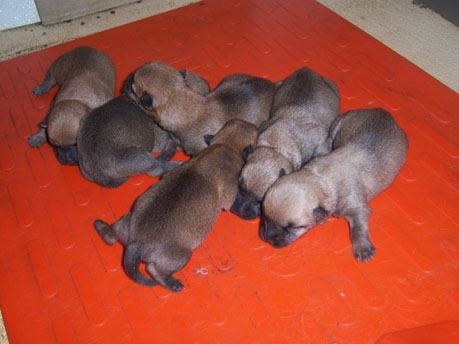 Heat is used for growth as it is absorbed by the animals that safely rest on top of the mat. Stanfield heating pads are safe for use with virtually all animal species. Other major benefits of heat pads include providing a larger “zone of comfort” or a larger, more spread-out, consistent source of heat. Animal heating pads are recommended over methods such as heat lamps because with heat mats chances of any losses are exponentially decreased. Heat pads are easily controlled by an external controller, allowing the perfect temperature to be set, maintained, or decreased as animals grow and their heating requirements change. Harsh heat lamps that are flammable and can only change heat output by raising or lowering them closer to your animals, which is extremely dangerous. By using controllers with heat mats, heat can effectively be altered as animals grow, extending your space’s energy savings. Additionally, these animal heating pads are proven highly unlikely to fail because there is no light bulb involved that could unexpectedly burn out, leaving animals cold and malnourished for some amount of time. To learn more about animal heating pads, call 1-800-255-0316 or browse the Osborne Pet Supply’s online store which features the zoo-trusted Stanfield Heat Pads and accessories.